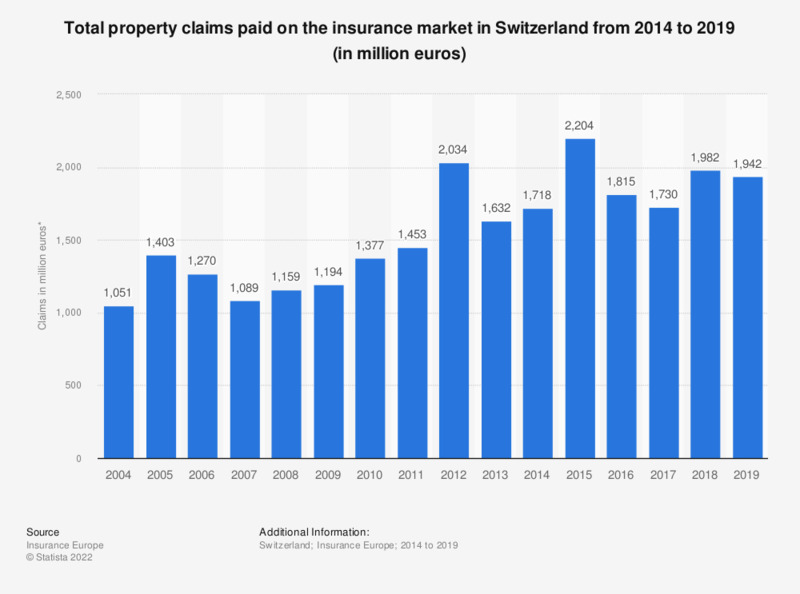 The statistic shows the total value of property claims paid on the insurance market of Switzerland from 2014 to 2017. The claims payments totalled nearly 2.2 billion euros in the peak year of 2015. In 2017, the total value of property claims paid out by the insurance providers in Switzerland amounted to 1.73 billion euros.